Most of the candidates competing to be Vermont’s next governor talk a good deal about fighting global warming. But are they practicing what they preach when it comes to their campaign cars? Running for statewide office in Vermont means pressing the flesh in every corner of the state — and spewing a lot of carbon dioxide along the way. Democrat Peter Shumlin makes the 300-mile round trip from his home in Putney to Burlington in his Audi Quattro at least twice a week for fundraisers, press conferences and candidate forums, a spokesperson for his campaign says. On June 16, Democrat Susan Bartlett started her day at a debate in Brattleboro and ended it 158 miles away at a meet-and-greet in a Shelburne retirement home. Judging by the candidates’ online calendars, that kind of day is not unusual. In addition to his Saab, Democrat Matt Dunne still drives his old Toyota pickup truck with a big wooden sign in the bed — a folksy relic of his past campaigns, but probably not the most Earth-friendly set of wheels a candidate could drive. Topping that, Republican Brian Dubie, a commercial airline pilot, kicked off his campaign in June by piloting a four-seater plane into a half-dozen Vermont towns for a day of political rallies and media events. With those examples in mind, Seven Days asked each of the 11 candidates for governor about their campaign cars and driving habits as they crisscross Vermont in search of votes — and about what, if anything, they’re doing to offset or mitigate their carbon output. We asked for the year, make and model of the car or cars they drive or ride in to campaign events, and the average mileage they clock each week. Eight candidates responded. Using the website fueleconomy.gov, the official source for fuel economy information from the U.S. Department of Energy and the Environmental Protection Agency, we looked up each car’s combined gas mileage, carbon footprint and air pollution score. The government bases combined miles per gallon on 45-percent highway and 55-percent city driving. 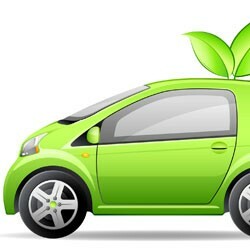 Carbon footprint is a measure of annual CO2 output based on 15,000 miles of driving. And EPA’s air pollution score represents the amount of health-damaging and smog-forming airborne pollutants a vehicle emits, ranging from 0 (worst) to 10 (best). True fuel economy is not easily measured and depends on a seemingly infinite number of variables, such as tire pressure, alignment, driving style, oil viscosity and even whether you drive with the windows open or closed. For the purposes of this article, we relied on the standard ratings available from the Department of Energy and the EPA. How green are the candidates’ cars? Consider that not one of them drives a hybrid. There aren’t a lot of gas-guzzling SUVs in the mix, but nor is there a vehicle powered by French-fry oil or biodiesel. Most candidates drive European or American cars that get between 20 and 25 miles per gallon. None reports buying carbon offset credits. For most, petroleum penance comes in the form of gardening, carpooling and line drying clothes. What are you doing to offset or mitigates your C02 output?